An awesome read read for anyone but especially interesting for modern strategic business and design leaders. 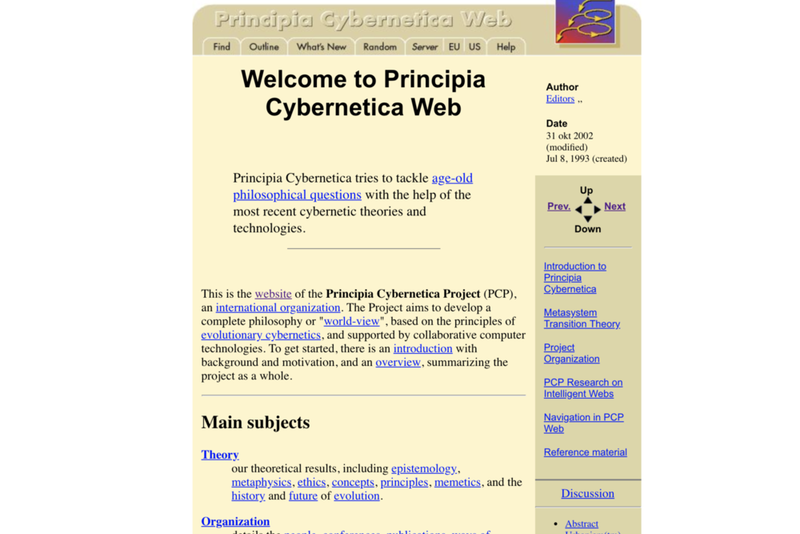 A “Getting Started” everything-you-need-to-know-and-more introduction to cybernetics and how it relates to other systems design disciplines. Excellent conceptual inspiration for anyone designing for or thinking about challenges in artificial intelligence, conversation interfaces and more. “Getting beyond the defences against innovation” - an excellent resource for thinking about strategic leadership and organizational design in an age of asymmetric competition. A place to rabbit hole for hours on strategic leadership and systems design theory covering a range of topics relating to managing business in the modern chaotic complexities of today’s globally connected market landscape. Understanding the hierarchy of impact and relationships of leverage in systems thinking and interaction design. I am always drawing, designing, creating, doodling or otherwise creatively making something. When I can, I like to share the resources that I use and create to build my work (my icons have been downloaded over 26,000 times on The Noun Project). Below are some of the things I’ve made for other designers to use. My first attempt at a visual language and icon set for cross-functional communication of basic web design patterns and standards. See version 2 for a more refined visual aesthetic and expanded icon set. An icon design kit for better communicating the navigational strategies and design patterns for creating a website. This icon set was created as an extension of the Website Wireframe Icon kits v1 & v2. An icon design kit for designers and non-designers alike - created to help streamline and improve communication between cross-functional team members about standardized website experience design patterns and interactions. A fun personal project done in less than 24 hours as a proof of concept for a workflow creating rapid hand drawn icon sets based on quick illustrations using iPad Pro, Procreate art app and Apple Pencil in combination with the Adobe Creative Suite. Available for purchase on CreativeMarket.com. Vector arrows and chevrons icon set created as a personal design exercise and uploaded TheNounProject.com. Full color jack-o-lantern pumpkin illustrations + multi-color vector/svg line art icon/sticker pack. Pack includes 150+ high resolution AI, PSD, PNG, SVG and EPS art assets. 20+ black and white hand-drawn vector spiders and spider webs illustrated with intricate geometric and symmetric details. Pack includes high resolution AI, PSD, PNG, SVG and EPS art assets. 50+ black and white symmetric skull drawings / icons for Halloween 2018. Pack includes high resolution AI, PSD, PNG, SVG and EPS art assets. 70+ cute, fun and happy black and white vector ghost character illustrations/icons made for Halloween 2018. Pack includes high resolution AI, PSD, PNG, SVG and EPS art assets. Check back soon for more updates on products and design resources including automated workflow formulas, design how-to’s, templates, asset packs and more.